Cranleigh School holds ‘small group visits’ on Saturdays throughout the year. For 2019 these will be held on February 9, March 2, and March 16. Please use the form on the Book A Visit page to register your interest for these. If you do not already know Cranleigh, we strongly recommend an initial visit during one of our small group meetings. These take place on Saturday mornings throughout the academic year. Advance booking via our Admissions Office is essential. Small group meetings provide several families with an informal opportunity to hear about future plans for the School, to meet the Headmaster and House staff, and to enjoy a tour of the School with a current pupil. Individual visits, tours and discussion with the Head of Admissions may also be arranged during the week. 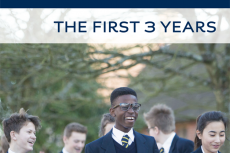 If you wish to be considered for a place at Cranleigh, a registration form and non-refundable registration fee should be submitted to the Admissions Office. Registration forms are available on-line or via the School prospectus. Early registration is recommended, ideally in Years 4 or 5. Applicants may be offered 13+ deferred places, with testing taking place in Year 6 and subject to Common Entrance in Year 8. 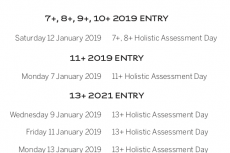 Registered applicants will be invited to an Assessment day during January in Year 6. The Assessment is a holistic review of the candidate’s interest and abilities. It consists of an informal interview with a senior member of staff, a discussion group with the Headmaster, an English creative writing paper, a Mathematics challenge, an on-line test and fun team building activities. A report is required from the candidate’s current school. The interview will provide candidates with an opportunity to discuss their passions and what motivates them, during which interests and talents outside the classroom will be highly valued. Following the Holistic Review, and receipt of a positive recommendation from the candidate’s current school, a conditional offer may be made. This will be confirmed on successful completion of the examination stage. Cranleigh is in the fortunate position of receiving many more applications each year than we have places available. Admissions decisions therefore take into account a variety of factors. We need to be confident that a pupil will thrive academically, but we also consider what wider contribution he or she will make to the Cranleigh community, particularly those individuals who will make the most of the available opportunities and develop themselves. 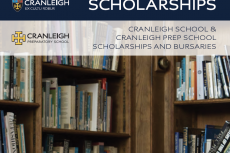 Cranleigh offers a range of academic and other scholarships. To gain an award, candidates must demonstrate both excellence in their chosen field and exceptional promise. Scholarship application forms are available from the candidate’s current school. Applications should be received by the advertised closing date in Year 8. For full details of awards, please see our Handbook on Scholarships and Bursaries. All candidates, who have been offered a 13+ deferred place will take the ISEB Common Entrance Examination in June of Year 8. Separate provision is made for candidates not being prepared specifically for Common Entrance. These assessments will take place in May of Year 8. The majority of offers are made during the spring of year 6. We operate a waiting list and keep parents, guardians and schools informed of movement and should a place become available. Late applications are accepted subject to the length of the waiting list.